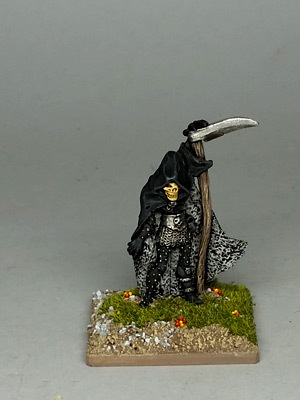 One last figure I was painting along with the last few, the old Citadel "Death Elemental." Turned out a bit dull with the usual color palette. But then, I'm not sure he should be any more colorful or exciting. Not a very good photo, either. He's on a 40mm base, to give an idea of scale.